A mesothelioma diagnosis is a life-changing event — for the patient and their families. It’s one that likely will force patient and loved ones to switch their current roles and take on new parts demanding increased responsibilities or increased dependency. Unless you have personal experience being a cancer patient or a primary caregiver, you may be unsure how to adjust to these new roles. Sometimes it helps to think how you transitioned to new life roles in the past. How did you adjust to becoming married after years of living single? How did you prepare to transition from the workforce into retirement? We wear many hats in our lives: Mother, father, son, daughter, sister, brother, employee or boss. Your mesothelioma diagnosis may mean adding the “new hat” of cancer patient to your daily wardrobe. As a result, you may need to remove the other hats you routinely wear. Perhaps you have to limit your work hours or quit your job because you’re too tired or sick to work. Your church or congregation may depend on you as a volunteer to help with religious services, but you may be instructed by your oncologist to stay away from crowded places because you’re susceptible to infection. It is common to feel a sense of loss when you can’t wear all your hats while you battle mesothelioma. One of the common challenges of adjusting to being a mesothelioma patient is taking on a more dependent role. When you’re accustomed to independence and doing most things yourself, it can be a struggle asking for help or accepting it from your family and friends. Your personality also can affect how you adjust to being a mesothelioma patient. Some patients are comforted by loved ones offering to accompany them to chemotherapy treatments or checking in frequently to see how they are feeling. Others prefer to be treated as if they are not sick and don’t wish to talk about their treatment or symptoms. It’s helpful for you to think about the kind of support you like and feel comfortable asking from your loved ones. Taking on extra household duties the patient can no longer perform on their own. Scheduling and keeping track of the patient’s medications and doctor appointments. Relay information about the patient to family and friends. Some caregivers may feel that their responsibility to the patient’s physical and emotional needs is more important than their own — and it’s not true. In my experience as a counselor working with caregivers, it’s not healthy for caregivers to always put the patient’s needs first. 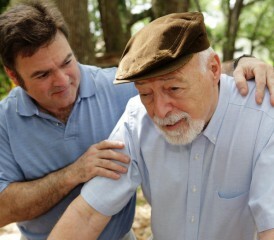 It is important for caregivers to determine what kind of help they can provide the patient. But it’s also crucial to ask for help from the patient’s health care team or other family members and friends. Most people care for a loved one in the same manner they would expect to be treated if they were sick. However, not everyone shares the same preference of care. For example, some patients may welcome their caregiver taking over monitoring and organizing all their medications. Others may find this intrusive and want to maintain as much independence over their lives as possible, including keeping track of their medications. Conflicts can arise between patients and caregivers over assumptions about how the patient and caregiver should be feeling or behaving. It is important to realize that caregivers and patients need time to adjust their new roles and that there is no right or wrong way to be a patient or caregiver. Talking to each other about your needs as a patient and caregiver allows for less conflict and misunderstandings, especially as both roles work through the daily challenges of mesothelioma. Q: Why am I so tired all the time? A: When your body is fighting cancer and dealing with the side effects of cancer treatment you can feel fatigued physically, mentally and emotionally. Cancer-related fatigue is different and more intense than typical fatigue. It is completely normal to feel extreme fatigue when you have cancer, especially if you are undergoing chemotherapy. Cancer-related fatigue isn’t easy to bounce back from. Sleep doesn’t always lessen this kind of fatigue, but it is important to rest and regulate your activity. Your body is working hard to control the cancer and this requires a lot of energy. Try not to overwork yourself. Many mesothelioma patients report that fatigue improves greatly once they recover from cancer treatment. Q: Is it safe to fly with an oxygen tank? A: Flying requires a different kind of oxygen tank, known as a portable oxygen concentrator (POC). A regular oxygen tank is not safe for flying, meaning you must rent a POC for airline travel. Go online to find a POC provider or call your doctor for a recommendation. Most airlines require you to inform them of your need for a POC 48 hours prior to flying. You must also keep your oxygen prescription and doctor’s letter approving air travel on you at all times. Some airlines have a specific medical form for your doctor to fill out, so be sure to check the airline’s policy in advance. Q: Can eating more vegetables help me recover? A: Scientific research suggests that eating a variety of vegetables supports the immune system in ways that may help people recover from cancer treatment. Consuming a diverse selection of vegetables provides the body with nutrition and antioxidants, which are natural compounds that facilitate repair on a cellular level. A plant-based diet rich in healthy protein is recommended by oncology nutritionists.